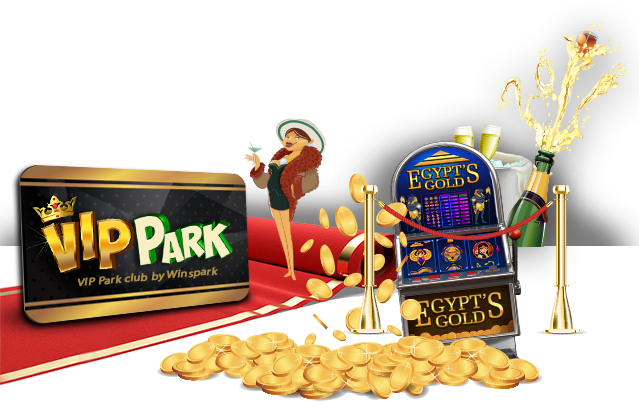 WinsPark - Welcome to Winspark’s VIP Haven! Welcome to Winspark’s VIP Haven! Welcome to our VIP haven! Our Loyalty Programme begins automatically as soon as you make your first bet! There are a number of VIP Levels – each with its own unique bonuses, offers and special benefits (you can view the benefits of each VIP Level in the column on the left). 1 VIP Point for every €/$/£10 you wager - no deposit required! The more points you collect – the higher VIP level you get. After collecting a sufficient amount of VIP Points to enter the next VIP Level, you will be contacted by your personal Account Manager and invited to join the relevant VIP Club. E.g. once you’ve collected 400 VIP Points, your personal Account Manager will contact you and invite you to become a ‘Bronze’ Level member of the VIP Club. Convert your VIP Points to bonus money! Use the packages offered by our VIP Store located in the cashier to redeem your available VIP Points in exchange for Bonus money again and again! The more points you collect, the higher the bonuses! The more points you collect, the higher the bonuses! Note: you may only use packages at your current VIP level or below - ‘New’ being the lowest and ‘Diamond’ the highest. To view your current VIP Level, go to ‘menu’ at the bottom of the platform, click on the ‘cashier’ button and then the ‘VIP Store’ button where you’ll be able to see your current VIP Level. Visit WinsPark’s Terms & Conditions page to find out more. Gold members are granted all Bronze AND Silver privileges and can now enjoy personal, tailor-made bonus plans. 4000 VIP Points = 200 euros! Dedicated Monthly Raffle with exciting prizes. Receive occasional gifts just for playing! Silver members are granted all Bronze benefits and you can purchase the special Silver level bonus money in the VIP Store – convert 1500 VIP Points into €/$/£50! Bronze is the first level in the VIP Club where you can convert 400 VIP Points for €/$/£10 of Bonus Money in the VIP Store!